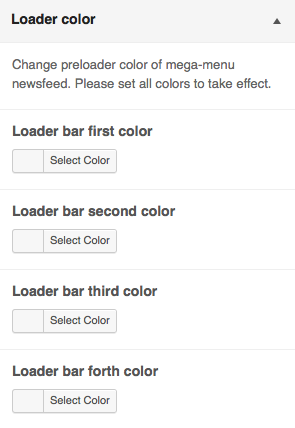 if you are using mega menu, you will notice when you hovering another category, there is facebook like bar loader. you can modify this color base on your need. there is 4 bar, and you can change each of color.